Have you always wished for the soft, shiny, gorgeous hair you see on models, actresses, and those girls in shampoo ads (without having to pay through the nose for the salon treatments, professional products, and hours of styling required to keep your strands glossy and perfectly coifed)? Perhaps the thought of damaging your hair with chemicals, high heat (from a dryer and an iron), and excessive amounts of product gives you pause. But you still want to look your best! 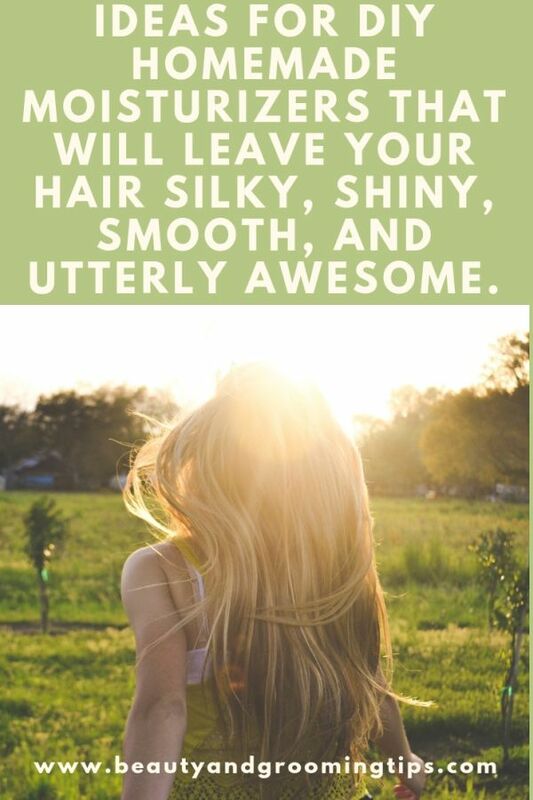 Now you can have the lustrous locks you’ve always dreamed of with less expense and the peace of mind that comes from using all natural products. Try some of these ideas for homemade moisturizers that will leave your hair silky, smooth, and utterly awesome. 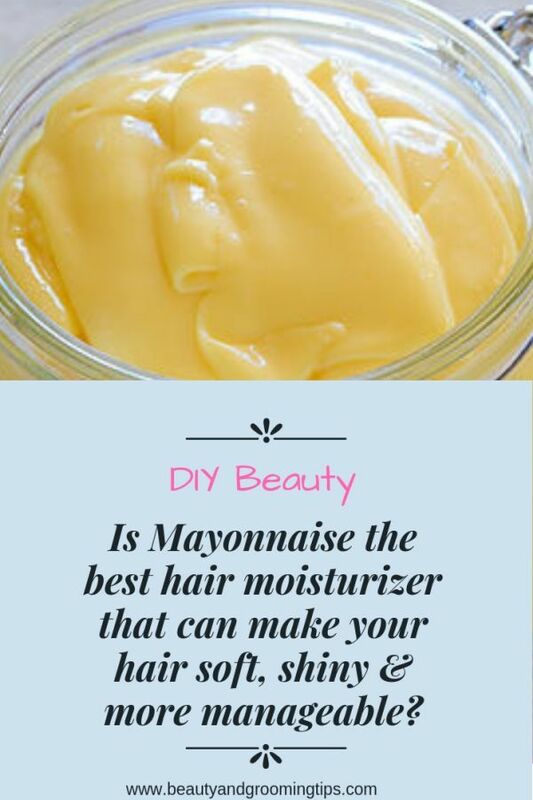 The best overall homemade product for conditioning your hair is mayonnaise. Okay, so it’s not exactly a recipe that you have to whip up yourself (although most people claim that homemade is better than store-bought), but the combination of eggs, oil, vinegar, salt and sugar provides you with everything you need for a healthy scalp and a sleek head of hair. All you have to do is wash your hair with your regular shampoo, comb the mayonnaise into wet strands, starting at the roots, let it sit for anywhere from 15 minutes to an hour (depending on the dryness of you scalp or the damage to your tresses), and then wash it away with a gentle shampoo like the kind used for babies (to remove the goop and the smell while leaving all the hair-healthy benefits). You’ll find your hair transformed into super-soft locks that are easy to manage. Some people like to cover hair with a plastic bag so that the concoction really sinks in. Of course, you can also use some of the elements of mayonnaise on their own or in different combinations to achieve certain results. Eggs ( Read Eggs for beautiful hair) are great for adding a lot of shine while certain organic oils (olive, sunflower, and so on) will give you the smooth and silky feeling that the men in your life will love (although, if you have oily hair to begin with you may want to shy away from these elements). But if you want something that offers you these same results with the addition of a nice scent, then try throwing together some avocado oil and coconut milk, sunflower oil and bananas, or simply add a few drops of your favorite essential oil to some olive oil for a longer lasting scent. The whole idea with adding natural oils to your hair is to coat the strands to lock in moisture, leaving your scalp flake-free and your tresses soft, silky, and clear of split ends and fly-aways. This is especially important if you have dry or damaged hair or if you use a lot of heat treatments. But however you treat your hair the rest of the time, adding a moisturizing mask to your weekly or monthly routine will ensure that you have the manageable and alluring hair that you’ve always coveted (without the attendant cost), regardless of what you were born with. So which homemade DIY hair masks, moisturizers made of easily available ingredients and products from the kitchen do you use? Did you find them better than store bought expensive products? Do share in the comments. Carol Montrose mostly writes about beauty & health related information. Blend 1/2 a banana, 1/4 cantaloupe, 1/4 avocado, 1 tablespoon wheat germ oil and 1 tablespoon yogurt. For extra conditioning, squeeze in the contents of a vitamin E capsule. Leave in hair for 15 minutes. Use a shampoo for dry and or fine hair. Vinegar rinse is good for your hair and or a beer is a good rinse too that helps your hair to soak in a beer. Also, take a good daily vitamin for your hair! Combine your aloe vera and rose water in a blender or food processor and blend until thick. Add the sandalwood and rose to this mixture and blend completely. Lastly, add in the first substance that has cooled, blend and transfer to a glass jar. You can even give this homemade moisturizer away as a gift! when you apply olive oil to your hair, begin at the roots and work down the full strands of hair to the ends. You can leave this in for five minutes or five hours. Some people sleep in it or you could leave it on while you are watching television. If you really want to turn up the intensity, take the heat from the hair dryer to it for a few minutes. Always avoid moisturizers that contain mineral oil or any other petroleum based product in the first few ingredients. Mineral oil does nothing but coat the hair leaving it shiny but dry. Moisturizers should then be applied daily or as needed. Only a dime sized amount is required for shoulder length hair. A touch more for longer hair. Always comb the moisturiser through the length of the hair with a wide tooth comb to make sure that every strand gets its share. You can apply a bit more to the ends if desired. There is no benefit in loading your hair with moisturizer as hair is only about 10-14% water and all you are trying to do is regain the moisture balance in your hair. You are more likely to ruin your style by leaving relaxed hair looking greasy or reverting natural hair altogether by applying too much moisturizer! When you use a moisturizer well, it should keep your hair from drying out without weighing the hair down or being sticky. Oil free moisturizers are also good option. You may try mayonnaise, then put on a towel to lock in the moisture. Keep this at least 3 hours then do not forget to thoroughly wash your hair with a mild or baby shampoo as regular salon shampoo will wash the elements of mayonnaise off your hair strands. I have really dry hair and i use aussie it shines and mosterizes hair so ood it is perfect when ur done your hair shines and it is smooth and it helps with dry scalp and u can find aussie moose gel hairspray and shampoo and conditioner in just about every store!